2 - Blow your nose on your handkerchief in public. If you've ever wondered why many Japanese public washrooms don't have hand towels, it's because that's how people dry their hands, and in the hot summers, their faces too. If you blow your nose on your hanky, the assumption is that next you'll be wiping your face with it. Yes, I know, but seriously, that's why people look aghast. Really. 5 - Become frustrated when people don't understand your best Japanese. It's going to happen. 99.9% of all Japanese speakers are native speakers. It's not surprising in that context that people will struggle with even the smallest error. The first one being, you probably don't look Japanese! 6 - Pay a visit to the Imperial Palace. You'll see a gate. And a lot of other tourists taking selfies in front of high stone walls behind which the Emperor is probably watching his favourite show. Tokyo is interesting, lots to do, not much to see. 7 - Bite into a doughnut without checking the contents first. Instead of a tasty jam or custard interior, you may well be biting into an anko inside. This is a delicacy here but, made from a red bean paste, has the consistency of goo and transmits itself around your clothes in a very similar fashion to baby poop! 8 - Worry about losing your wallet. It'll have been handed in at the local police box where you lost it. Remember you're supposed to give 10% of the contents to the finder. And if there were just credit cards inside, a box of chocolate biscuits goes down just as well. 9 - Complain loudly about radiation. Honestly, we've heard it all before and still are OK to live here. The end of the world hasn't arrived. Well, not yet anyway. 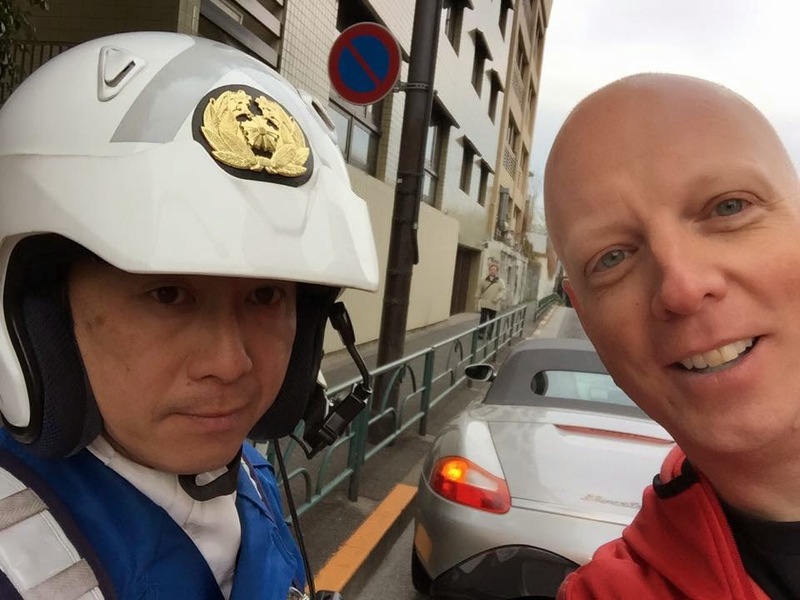 10 - Take a selfie with the officer who has just stopped you for speeding. Actually, you can try this and recently a friend was actually successful. Nicely done sir.